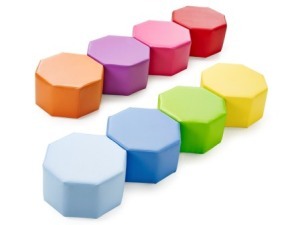 The Octagonal seating set is a set of 8 modular seats that can be arranged in many different layouts. 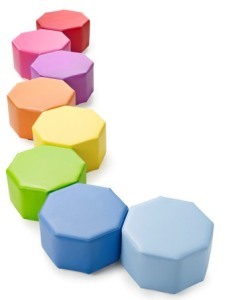 Made with a solid wooden frame, they have a padded seat and are covered in wipe clean vinyl. 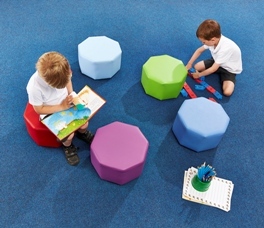 Ideal for pre-school and primary school aged children the Octagonal seats make a great set of reading chairs.